On fight night, Manny Pacquiao lost by a close split decision to two judges. On recount, commissioned by the ruling World Boxing Organization and reportedly done by five international judges, Pacquiao won unanimously and convincingly. So what's the real score now? Well, the WBO recounting satisfied the clamor by many for a review. It made a decision many also thought was the right decision. It somehow lessened the impact of the loss. But it can not overturned the judges decision. Timothy Bradley still remained the champ. The belt could not just be given to Pacman. And in a show of sportsmanship and maturity, Pacquiao said he does not want to take the belt either. He didn't even lash out at the judges and maintained he respect the decision though he believed he won and wanted a rematch. It makes one wonder: so why was it recounted. Only a criminal intent which has yet to be proven could overturn the ruling. 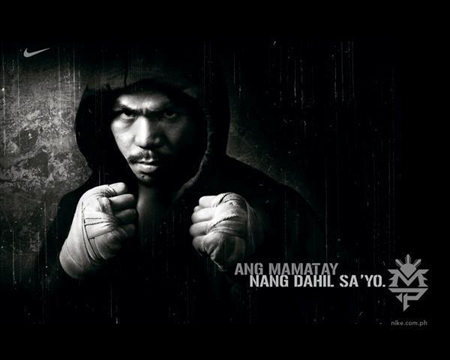 Unfortunately, lapse in judgement, incompetence, judges error, could not make Pacquiao win and retake his belt. Well, this is boxing; this was held in Las Vegas and they have their own rules. To me, the best decision could have been this: WBO to declare the title vacant, and order a mandatory rematch this year between the two to settle once and for all the issue. I'm not just sure whether that would make another blockbuster fight.